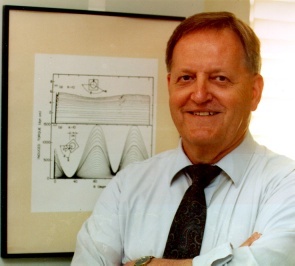 On Saturday, 21 October, 1995, friends and colleagues of Albert W. Overhauser, Stuart Distinguished Professor of Physics at Purdue, gathered to participate in a symposium in honor of his 70th birthday. 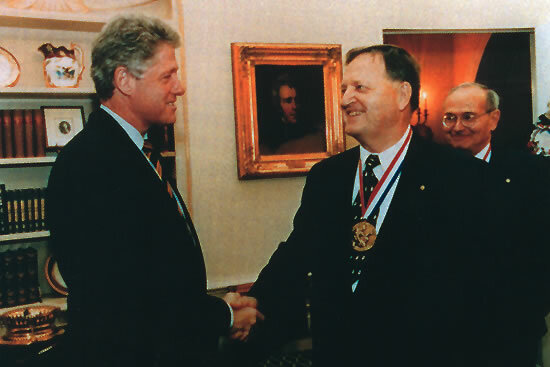 The even also served as a celebration for Al's being awarded in 1994 a National Medal of Science. 9:30am : F. Seitz, Rockefeller University "The Formative Years"
10:00am : C. P. Slichter, University of Illinois, Urbana-Champaign, "The Verification of the Overhauser Effect"
11:00am: V. L. Telegdi, CERN, "NMR with Spinless Nuclei"
11:30am: S. A. Werner, University of Missouri, Columbia, "Gravitational, Rotational and Topological Phase Shifts in Neutron Interferometry"
1:30pm: D. R. Hamann, AT&T, "New Directions in Materials Theory: Adaptive Coordinates and Gradient Corrections"
2:00pm: J. J. Hopfield, California Institute of Technology "Spins in Biological Computation -- A History"
2:30pm: M. S. Dresselhaus, MIT, "Recent Advances in Related Carbon Nanotubes"
3:30pm : G. F. Dresselhaus, MIT, "Application of Symmetry Concepts to Excitonic Effects in Fullerenes"
4:00pm: J. J. Quinn, University of Tennessee, "Composite Fermion Excitations in Fractional Quantum Hall Systems"
4:30pm: H. Fritzsche, University of Chicago, "Puzzling Interaction of Light with Matter"
impact of his technological advances. Medal of Achievement, bestowed by the Canadian Association of Physicists (1986). Gold Medal for Physical Sciences, bestowed by the Science Council of British Columbia (1982). Ph.D. from the Carnegie Institute of Technology (1954). Cooperative phenomena in condensed matter, micromagnetism and critical phenomena, engineering magnetic materials. Professor Emeritus, Physics Department, Simon Fraser University. Author of more than 200 publications. Ph.D. in Physics from the University of California, Berkeley (1955). Electron properties and electronic band structure of semiconductors and semimetals. Fellow of the American Physical Society. Senior Scientist of the Francis Bitter National Magnet Laboratory at MIT. Group leader (with M. S. Dresselhaus) at the Center for Materials Science and Engineering for studies on materials such as fullerenes, carbon fibers, carbon nanotubes, and graphite intercalation compounds. National Medal of Science and 12 honorary doctorates. Ph.D. from the University of Chicago. Experimental Solid State Physics, carbon related materials, fullerenes, carbon nanotubes. Former President of the American Physical Society. Member of the National Academy of Sciences and the National Academy of Engineering. Institute Professor at MIT (1985). Coauthor of two books on carbon science. Oliver E. Buckley Prize (1989). Honorary Degrees from Purdue (1988), Nanjing University and Beijing University. Ph.D. from Purdue (1954). Semiconductor physics. Held positions at Purdue (until 1957) and the University of Chicago, Physics Department (1957 -- present), Department Chairman (1977--86). Davisson-Germer Prize of the American Physical Society (1979). Ph.D. from MIT. Electron states at surfaces, computational materials physics. Head of the Surface Physics Research Department at AT&T Bell Laboratories. Former member of the Executive Committee of the Division of Condensed Matter Physics of the American Physical Society (1982-84), General Chairman of the Physical Electronics Conference (1988-92). 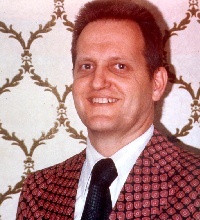 Oliver E. Buckley Prize (1969); Biophysics Prize (1985). Ph.D. in Physics from Cornell Univ. (1958). Bell Labs. Molecular Biophysics Group. Faculty Member at University of California, Berkeley (1961-64) and at Princeton University (1964-80). Function and structure of macromolecules. Neurobiology. Neural networks. Member of the National Academy of Sciences. Roscoe G. Dickinson Professor at the California Institute of Technology (1980-present). Willis Lincoln Chair of Excellence, University of Tennessee, (1992). Honorary Ph.D. Degree, Purdue University (1992). Ford Foundation Chair in Physics, Brown University (1985-89). Ph.D. from the University of Maryland (1958). Properties of the electron gas, semiconductor physics, quantum Hall effect. Member of the Oliver E. Buckley Prize Committee (1984) and of the George Pake Prize Committee (1986-88). Former president of the University of Tennessee, Knoxville. Coauthor of the book: "Artificially Structured Materials", (National Academic Press, 1985). Franklin Medal (1965), Compton Medal (1970), National Medal of Science (1973). Ph.D. from Princeton in 1934. Solid State Theory. University of Pennsylvania, Carnegie Institute of Technology, University of Illinois (Department Chairman), President of the National Academy of Sciences, Rockefeller University (President). Author of the classic book: "Modern Theory of Solids" (1940) and founding editor of the annual series: "Solid State Physics". Langmuir Prize from the American Physical Society (1969). Comstock Prize, from the National Academy of Sciences (1993). Honorary Ph.D. degree, from the University of Waterloo (1993). Ph.D. from Harvard (1949). Nuclear magnetic resonance, applications to understanding dynamical and structural properties of matter, first experimental observation of the Overhauser effect. Former vice chairman of the President's Scientific Advisory Committee (1969). Member of the National Academy of Sciences (1967). Professor of Physics at the University of Illinois, Urbana-Champaign (1955-present). Author of the classic book: "Principles of Magnetic Resonance" (1978). Wolf Prize in Physics (shared with M. Goldhaber). Ph.D. from the Swiss Federal Institute of Technology (ETH, Zurich) 1950. Muon physics, parity violation in the pi-mu decay chain, weak interactions. Member of the U.S. National Academy of Sciences. Former "Enrico Fermi Distinguished Service Professor" at the University of Chicago. Presently, Professor Emeritus at ETH, Zurich. Physicist at Caltech and CERN. President's Award for Excellence in Research, University of Missouri (1983). Honorable Mention for 1980 Gravity Research Foundation Prize. Outstanding Alumni Award, Department of Nuclear Engineering, University of Michigan (1980). Ph.D. from the University of Michigan (1965). Neutron scattering, magnetism, charge and spin density waves, neutron interferometry and neutron optics. President of the Neutron Scattering Society of America (1993-present). Author of more than 120 publications.